Hi everyone! 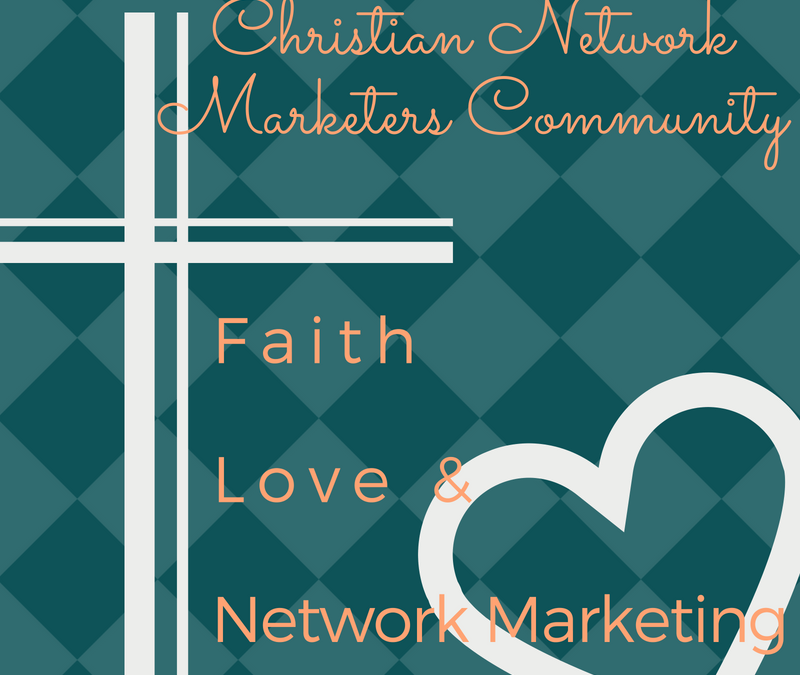 My name is Joelle and I am one of the admins for the Christian Network Marketers Community and I am here to talk to you today about putting on God’s glasses when looking at your businesses. You are probably thinking, “what in the world do you mean by that, Joelle?” Well, sometimes running your own business can be challenging. Am I right? It can sometimes feel like you are stumbling around in the dark. I’m thinking of camping right now and when you are in the dark, you might stub your toe or trip over something. In your business, you may come up across situations or people that make you feel like you stubbed your toe. In my camping scenario, all we want is something to help us see, right? In the world today, that is a pretty easy fix. We can use our cell phones or those fancy dancy LED flashlights. Using a device like that illuminates a wide path in front of us. You are probably thinking, “that is exactly what I would need”! Let’s use that same analogy as it relates to our business. We have all of these tools and luxuries to illuminate our view to see the BIG picture. That BIG picture may include a lot of different pieces that we have to put together and that my seem a little overwhelming. Even though you can see really clearly, you may be looking at what is ahead of you thinking, “How am I going to overcome that challenge?”, “What do I need to do to deal with this problem?” or “How am I going to do all of that in the time I have”? We can look at our business using God’s glasses! In Jesus’ time, they didn’t have all of these fancy dancy tools that we have. They would carry small lamps. I imagine the light that these lamps would have provided would have been like a small cocoon of light surrounding a person, illuminating only the next few steps. When we put on God’s glasses and view our business He will illuminate our next few steps. In Psalm 109:105 it reads: Your word is a lamp to guide my feet and a light for my path. If you are in a place where you feel overwhelmed by the BIG picture of your business, I encourage you to put on God’s glasses and ask Him to illuminate your next steps. How do we go about doing that? Well, we can be faithful in our practice of reading God’s word and staying faithful in prayer. I know that you have BIG dreams for your business. God has BIG dreams for you and for your business. You can be sure of that! In Isaiah 52:12 it reads You will not leave in a hurry, running for your lives. For the LORD will go ahead of you; yes, the God of Israel will protect you from behind. God goes before us and prepares a way. A way that is beyond what we can fathom. He is always behind us to catch us if we stumble or fall. He protects us. God sees the BIG picture and all that you need to do. He will light your path, one or two steps at a time! He will guide you there! I’d love to hear your thoughts on this concept in the comments or via FB messenger. What are some of the ways you stay faithful in reading God’s word?